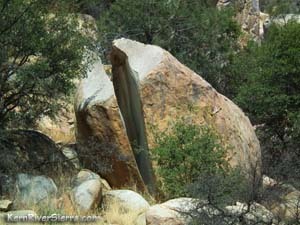 Convenient bouldering right off the road near The Kern Slabs. 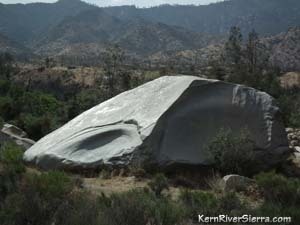 One of the more popular boulders beneath the dome of Kern Slabs. 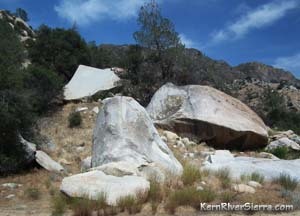 There are some good boulders scattered around the area of the Kern Slabs. Look up and down the hillside and on both sides of the road. 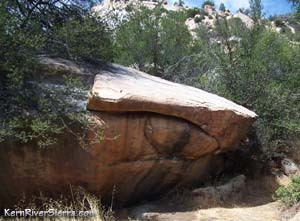 Some of the better boulders are close to the road and a little to the south. 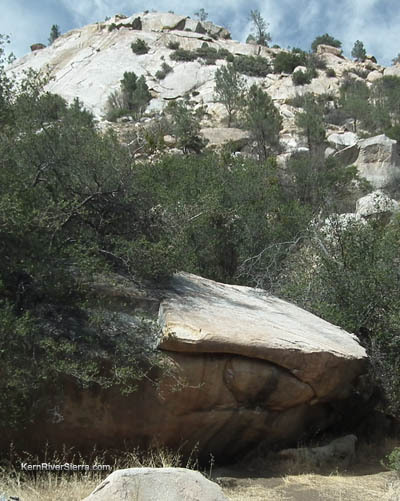 There is also some fun bouldering on top of the dome as well. From Sierra Gateway Market in Kernville, drive north on Mtn 99 for about 5 miles. Park on the right across from Thunderbird camping/day-use area. Explore around!